Become a registered user today! 3 grilled cheeses! Try all three, pick your favorite, vote and receive a Dine It U.P. shirt! 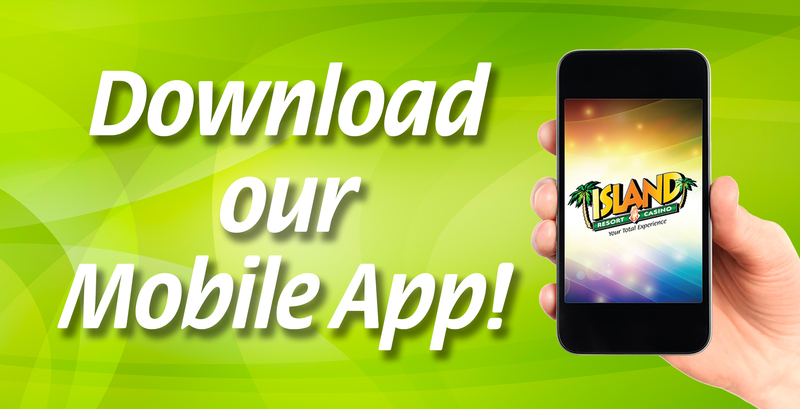 Download available on App Store and Google Play now! Matt & Gunnar Nelson, Dee Snider, Lita Ford and Mark Slaughter! Celebrate Mom and treat her to a grand buffet on May 12! Click Here For Details On How To Obtain Your 2018 Statement! Check Out What's Happening At The Island!